Assessment is far more than data collection. It is a critical step to determining the right curriculum for your students that leads to life-changing habits. 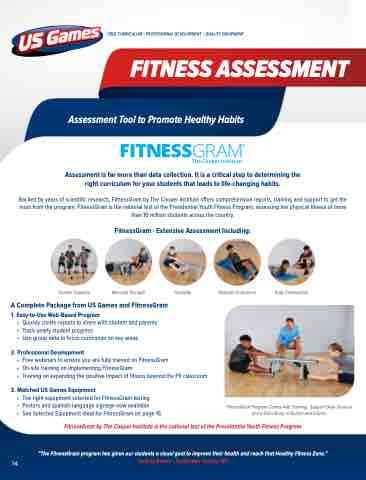 Backed by years of scientific research, FitnessGram by The Cooper Institute offers comprehensive reports, training and support to get the most from the program. FitnessGram is the national test of the Presidential Youth Fitness Program, assessing the physical fitness of more than 10 million students across the country. FitnessGram Program Comes with Training, Support Desk Services and a Full Library of Guides and Videos.